University of Oregon psychologist Paul Slovic is among a select group of accomplished world leaders chosen from academia, business, public affairs, the humanities, and the arts elected as members of the American Academy of Arts and Sciences. The academy is one the nation's most prestigious honorary societies and a leading center for independent policy research. With Slovic's election, the UO now has 16 current or retired faculty members of the academy. 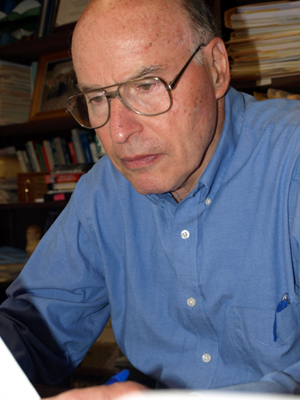 Slovic, who joined the UO Department of Psychology in 1986, is noted internationally for his psychological research involving risk analysis and assessment. Slovic also is president of Decision Research, a nonprofit organization based in Eugene that focuses on research that helps individuals and organizations understand and cope with the often-risky decisions of modern life. He co-founded the organization in 1976. Slovic, who was born in Chicago, hold a bachelor's degree from Stanford University and a doctorate from the University of Michigan. Members of the academy's 2015 class include winners of the Nobel Prize and the Pulitzer Prize; MacArthur and Guggenheim Fellowships; and Grammy, Emmy, Oscar, and Tony Awards. The list of new members is available on the academy's website. The academy's newly elected members will be inducted at a ceremony on Oct. 10 in Cambridge, Massachusetts.